Most print shops today trap using the RIP not the application. In fact most don't even print from applications anymore, they export to PDF's. 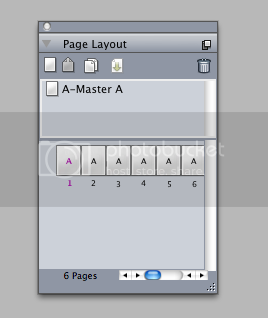 A work around is using Acrobat Pro to do the trapping, if you can output PDF files or print from Acrobat. http://www.designmerge.com/demo/This may work for you but it's not a cheap application. Do a Google search for Quark Xpress Data Merge. You might find something cheaper. Masks? What kind of masks. I'm thinking it's transparency thats causing this. If so try flattening the PDF files in Acrobat Pro before you place them in Quark. It amazes me that Quark still can't deal with Adobe transparency correctly as it's only been around for over 12 years now. Scroll bars if you have a spread larger than the width of the pallet. If I remember correctly Quark 4 also had a JPEG Import extension. Make sure it's in the active extensions folder. Topic: Why oh WHY can you not open a 9.1 doc with 9.0? Why oh WHY can you not open a 9.1 doc with 9.0? Don't forget if you enlarge those 300 DPI images the effective resolution will drop. A 200 percent enlargement will result in a 150 DPI image in the exported PDF.